RICHMOND, Va. — The Richmond Greek Festival has faced financial difficulties of late and is now relying on a series of loans offered by the local German food festival, Richmond Oktoberfest, to maintain their operations. 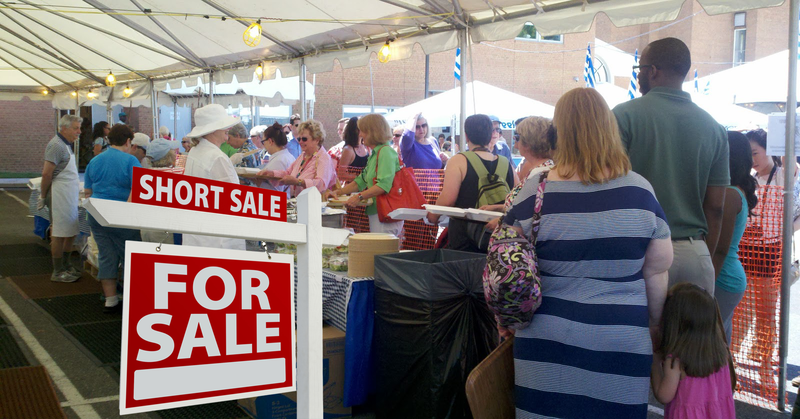 Seeing that their expenses for artisanal moussaka and Mythos brand beer had skyrocketed in recent years, the Greek Festival was faced with a dire decision: organizers could either request a series of loans from Richmond Oktoberfest or start working after lunch. The choice was obvious. Papadopoulos was charged with finding additional sources of funding. Unfortunately, the Italian Festival, the French Food Festival, and the Spanish Food Festival all refused, citing many of the same issues. International food festivals do not seem able to afford to give away as many free samples as they could in earlier decades. Papadopoulos had hoped to rely upon contributions from the British Food Festival, but those hopes were quickly dashed when it was announced that the British Food Festival organizers had voted to leave Richmond’s Epicurean Union in June of 2016. The Epicurean Union had been established in 1993 with the hopes of strengthening food festival unity in the wake of the collapse of the Russian Food Festival. If you think our content is good, you should see our merchandise.